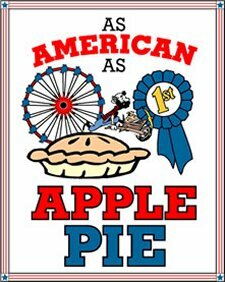 Entrants may NOT have won 1st place in this Blue Ribbon Apple Pie Contest at any other Fair in the current year. The recipe for the pie and pie crust must be submitted with the entry. It should be submitted on one side of 8 ½” x 11” paper. The recipe must list all the ingredients, quantities, and the preparation instructions. (All recipes and pies will become property of the Fair and will NOT be returned.) Entrant’s name, address, and phone number must be printed on the back side of all pages.